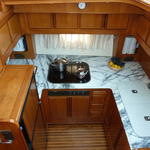 Grazia is a name of sailboat Yaretti 1570 ,which has been built in 1995. 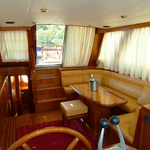 You can charter this vessel from port Primošten in region close to Sibenik. Grazia is furnished with 6 sleeping places. 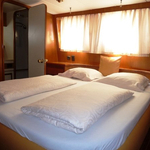 Sleeping places on the boat are configured in 6 +1 layout. 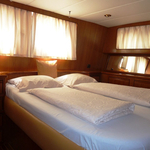 3 cabins are situated inside the vessel Grazia . 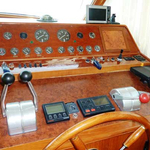 Analyze more yachts by going to this section: Motorboats Sibenik. 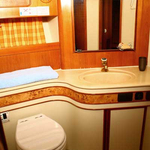 Guests can feel comfy on this vessel , because there are 2 WCs for their disposal. With 1800.00 l liters in fuel tank you can sail really far and still be independent because of 1300.00 l liters in tank for water. 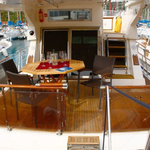 Grazia is supplied with motor 2 x 312,2 KW / 425 PS CAT 3208 - 425 HP / 312,2 PS. 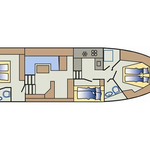 Yacht's dimensions are: lenght - 14.80 m , beam - 4.40 m and 1.20 meters of depth. 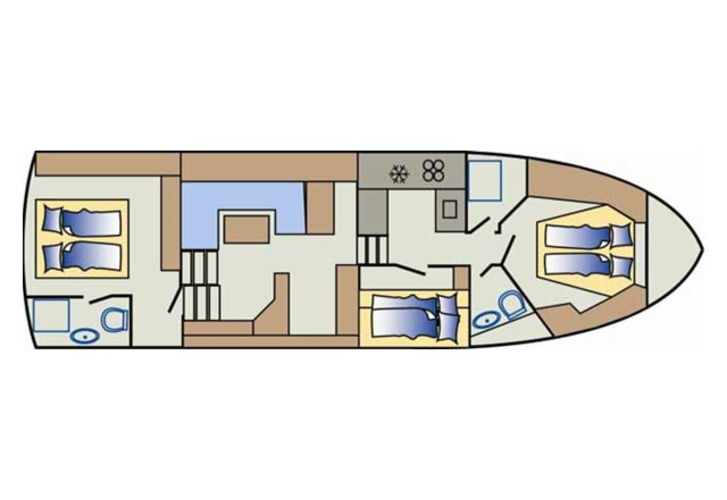 On the yacht you can make use of following equipment: Hardtop, Hydraulic gangway / dighy crane, Bimini top, Anchor electric windlass, Bed linen, Radio cd mp3, Heating, Air conditioning, Icemaker, TV, DVD player, Autopilot, Internet Wi-Fi, Gps plotter, Bow thruster, Electric stove 220 v with oven, Wc pump electrical, generator. . Security caution is at the level of 3000.00 EUR. 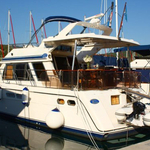 In our search machine you can effortlessly check avalailability of yacht Grazia from Primošten in section: Motorboats Croatia.